Kids Bean Bag Chairs, Suede,grey , for Any Child, Boys and Girls. An Essential Piece of Children’s Furniture. Grey in Color This Item Can Be Part of Your Living Accessories As Well As a Bedroom Accessory. Blends with Classic & Modern Furniture Sets. 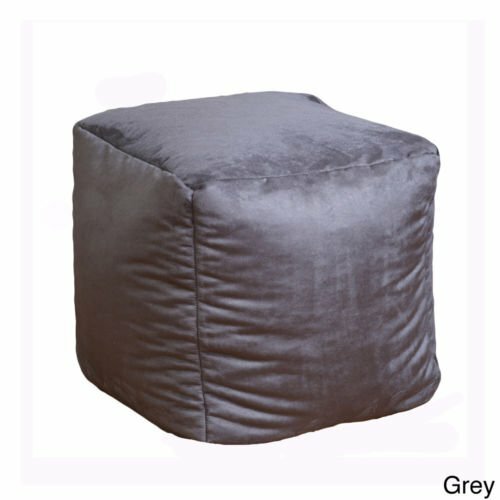 This childs bean bag chair / ottoman consists of a faux suede microfiber cover and is filled with durable polystyrene bean bag beans. These kids bean bag chairs are an ideal piece of children's furniture, ideal for a child's bedroom, home theater rooms, family and game rooms. If you have any questions about this product by Christopher Knight, contact us by completing and submitting the form below. If you are looking for a specif part number, please include it with your message.